The PhD is a research degree and is granted on evidence of general proficiency, distinctive attainment in epidemiology, and particularly on ability for independent investigation as demonstrated in a dissertation presenting original research with a high degree of literary skill. 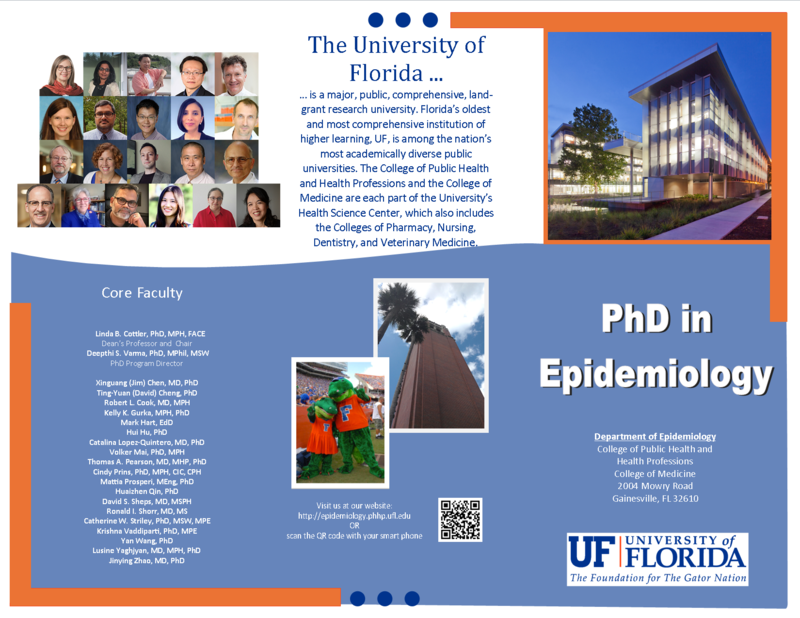 The core coursework of the PhD program was designed to incorporate competencies recommended in the report of the 2002 workshop on doctoral education in epidemiology from the American College of Epidemiology and the Association of Schools of Public Health and criteria for applied epidemiology competencies. The program consists of required coursework, successful completion of a qualifying examination, preparation and oral defense of a dissertation proposal, admission to candidacy, preparation and oral defense of a dissertation. 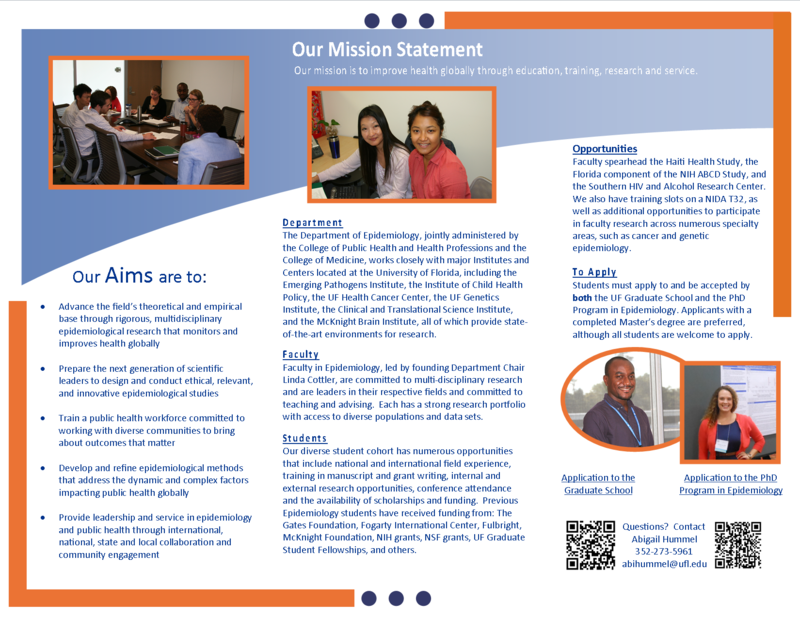 The curriculum, graduate school and graduation requirements are detailed in the PhD Student Handbook. Use the navigation links to the left to browse our curriculum, concentrations, courses, application processes, and frequently asked questions.